THE FALL is a memoir like no other. 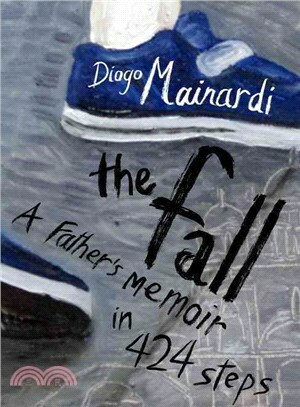 Its 424 short passages match the number of steps taken by Diogo Mainardi's son Tito as he walks, with great difficulty, alongside his father through the streets of Venice, the city where a medical mishap during Tito's birth left him with Cerebral Palsy. As they make their way toward the hospital where both their lives changed forever, Mainairdi begins to draw on his knowledge of art and history, seeking to better explain a tragedy that was entirely avoidable. From Marcel Proust to Neil Young, to Sigmund Freud to Humpty Dumpty, to Renaissance Venice and Auschwitz, he charts the trajectory of the Western world, with Tito at its center, showing how his fate has been shaped by the past. Told with disarming simplicity; by turns angry, joyful, and always generous, wise and suprising, THE FALL is an anstonishing book. Diogo Mainardi is a Brazilian writer, journalist, and TV commentator, known for his articles in Brazil's largest weekly magazine, Veja. Margaret Jull Costa has been a literary translator for over twenty-five years and has translated many novels and short stories by Portuguese, Spanish, and Latin American writers, including Javier Marias and Jose Saramago. She has won various prizes for her work, including, in 2008, the PEN Book-of-the-Month Translation Award and the Oxford Weidenfeld Translation Prize for her version of Eca de Queiroz's masterpiece The Maias, and, most recently, the 2011 Oxford Weidenfeld Translation Prize for The Elephant's Journey by Jose Saramago. She lives in Leicester, England.